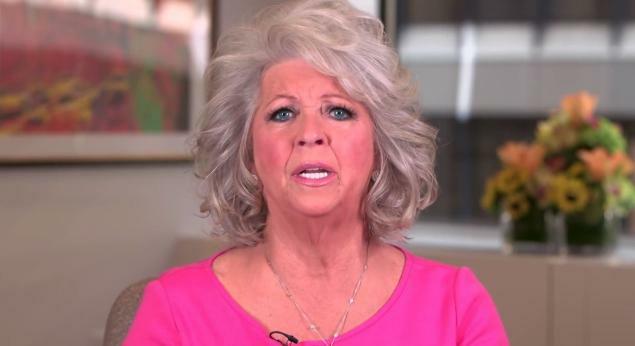 Will Racism Backlash Effect Paula Deen’s Bag Lady Foundation? So, I’ve been pretty mum about the Paula Deen debacle because it’s still sort of alarming to me. Not just her nonchalant use of the “N” word, although that is troubling as well. However, if our brothers and sisters toss the word around like a beach ball, why are we so surprised when a person that doesn’t look like us picks it up? Yes, out of a white person’s mouth it carries an unimaginable sting that differs when it’s breathed out of our own. But a sting is a sting. One is just stronger than the other. What I found more shocking was Deen romanticizing slavery as if it wasn’t a huge blot on our nation’s history and didn’t carry a tremendous weight of self-esteem issues on more than half of this country’s population that are African Americans. And for what? To get that old plantation nostalgia back. To relive the glory days of the ole South, well, she tried with the help of some. And made no secret of her feelings without as much as a raised eyebrow. Now, nearly buried from an avalanche of critics, called-off business deals and pink-slip clad employees, she may get thawed out. Cue the real life Olivia Pope, whose comeback plan will no doubt include an in-depth interview with Oprah Winfrey (for obvious reasons, one being that’s her friend), followed by marathon media sessions with stick-to-the-script responses. While I earnestly wait for Deen’s reemergence plan to come to fruition during sweeps month. I’m more curious about her present day situation, especially as it relates to her newly launched The Bag Lady Foundation. The non-profit’s purpose is to work with agencies to address hunger relief and help empower women in need. I may not be a publicity expert but considering Deen’s reputation nosedive as of late, how has the foundation been effected? Especially with big names like Ethel Kennedy, Robert F. Kennedy’s widow, backing it. After playing email tag with the foundation’s lawyer, Andrew Morton for several weeks. He finally broke his silence. To someone else. Morton reported to Philanthropy Journal that the Foundation has received $92,000 in contributions that included corporate gifts from Fox Network show “MasterChef” and cookware manufacturer Meyer Inc. Along with $70,000 worth of contributions from the general public. Not surprising considering online support from foodie website Stitches ‘n Dishes and others.